At times the weather is boring and I have to put it on the back burner for a little while. The pattern over the past several months has been so dull I've turned off the stove. Given how the year started this isn't a terrible thing. Mother nature also has a funny way of snapping back to life and that is what we will see over the next week. The biggest threat is flooding rains although we will have to watch Tropical Storm Joaquin carefully. He may act up by the end of the weekend. 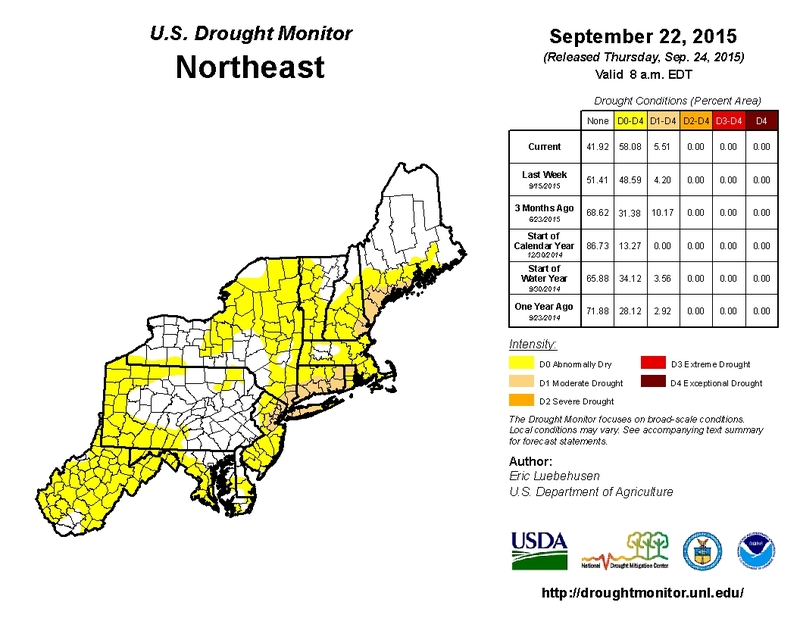 August and September have been extremely dry. April and May were also dry. Some parts of New England are experiencing drought conditions while most others are abnormally dry. There is an old saying that a drought ends in a flood. Heavy rain is expected to move in overnight and the National Weather Service in Taunton has issued a flood watch for much of Southern New England. So what happens meteorologically speaking to create such a set up? A slow moving but strong early fall cold front is pushing across the Great Lakes. 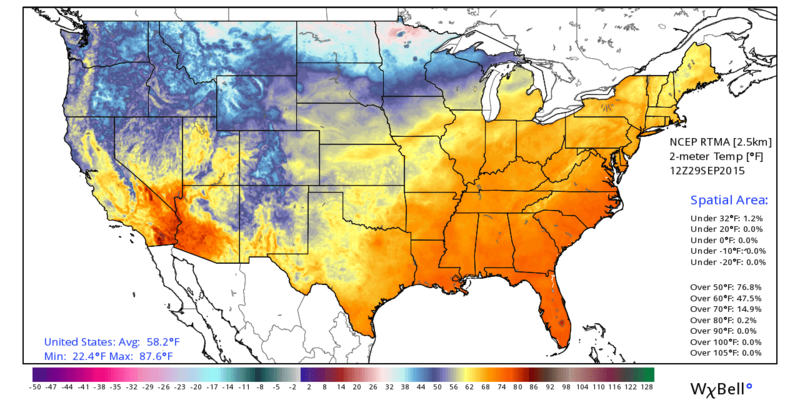 High pressure behind the system is ushering in below average cold into the Northern Plains. Other threats tomorrow include some coastal flooding impacts at the coast. Minor to moderate coastal flooding is possible. Some wind damage is possible but this is not a big hazard. However some wind gusts will approach 40-50 mph in the coastal plain. All told 2-4" of rain are likely in Southern New England with higher amounts in Northern New England. Left over rain is certainly possible Thursday into Friday as waves of low pressure move along the front. The front wants to stall offshore. 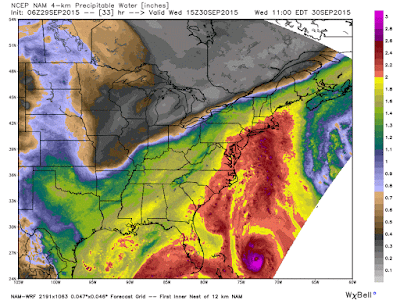 This is when Tropical Storm Joaquin will enter the picture. Guidance is all over the place but we do expect him off the SE coast late this week before beginning a trek north. Until we are sure what happens with Joaquin its premature to speculate on potential impacts. At the very least he will enhance the potential for rainfall along the Mid Atlantic/New England coasts. The 7 day precipitation forecast from the WPC calls for 6-9" of rain through next Tuesday. Locally higher amounts are possible. I am hoping for some dry weather on Saturday. I'll continue to monitor this over the next several days.